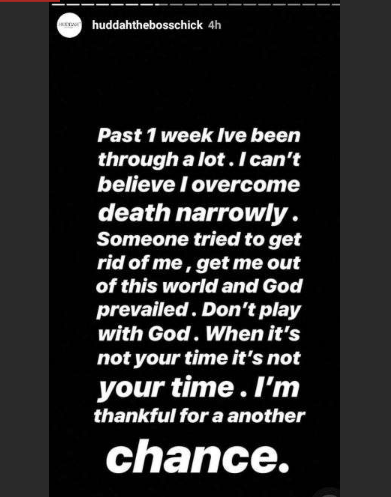 Socialite Huddah Monroe has come out to share that her life is in danger after someone tried killing her recently. Taking to social media to share the incident vaguely, Monroe, who has been trashing Kenyan men lately saying they are stingy and broke, said that the past week has been tough for her because of the incident. “Past 1 week I’ve been through a lot. I can’t believe I overcame death narrowly. Someone tried to get rid of me, get me out of this world and God prevailed. Don’t play with God. When it’s not your time it’s not your time. I’m thankful for another chance. And when the time’s right. 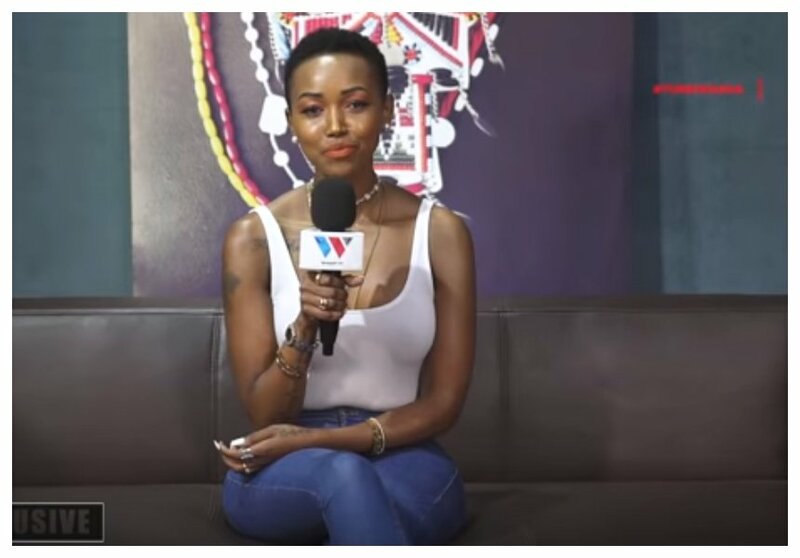 Everyone will know everything that happened to me… Because all that’s done in darkness must come to light…” read Huddah’s post. She went on to hint that jealously might be the reason why the person was after her. “I am filled with tears thinking of how evil people have become. 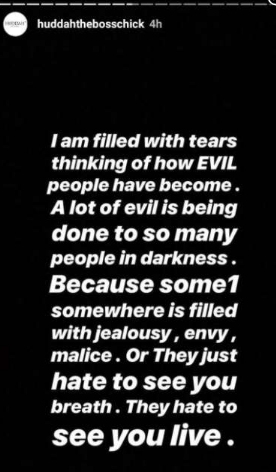 A lot of evil is being done to so many people in darkness because someone somewhere is filled with jealousy, envy, malice or they just hate to see you breath. They hate to see you live,” read the post.